Antoine Rebstein started his career as a pianist, with Christian Favre in Lausanne, Prof. Galina Iwanzowa at the Hanns Eisler Berlin and Prof. Hans Leygraf at the Mozarteum in Salzburg, where he additionally studied choir conducting and art history. As a pianist, he regularly gave concerts in the Wigmore Hall in London, Concertgebouw in Amsterdam, Tonhalle in Zurich, Mozarteum in Salzburg, and Preston Bradley Hall in Chicago and worked with conductors such as Matthias Bamert, Jesús López Cobos, Dmitrij Kitajenko, Yehudi Menuhin and David Zinman. He was invited by numerous festivals such as the Lucerne Festival and the Gstaad Festival. Antoine Rebstein is laureate of many international piano competitions and distinctions, amongst others the Eurovision Contest, Prix Leenards, Kiefer-Hablitzel Prize, Prix Migros and Swiss Ambassador’s Award for Young Musicians London, and is promoted by the Arts Global Foundation. He recorded a CD of piano concertos by contemporary Swiss composers with the Zurich Chamber Orchestra conducted by Howard Griffiths. After a severe recurring inflammation of his right hand, Antoine Rebstein specializes in the repertory for the left hand. 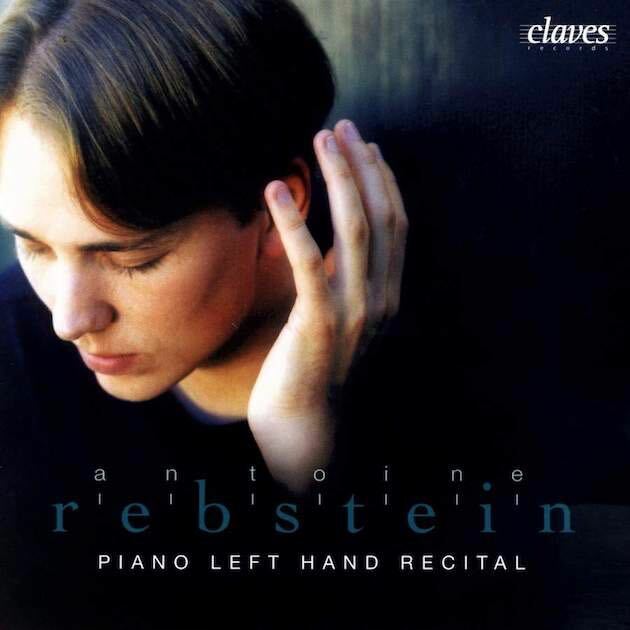 In 2006, Antoine Rebstein recorded at Claves Record the CD «Piano Left Hand Recital» honoured by a 5-Diapason Award, which obtained enthusiastic international press reviews. In 2007, Televisione Svizzera Italiana produced a large portrait of him with a recital and a program of chamber music. 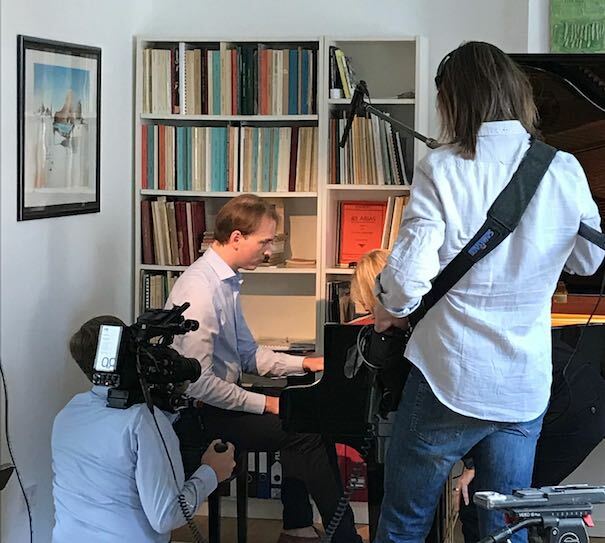 In 2018, he was featured in the ARTE production about the left hand piano repertory. 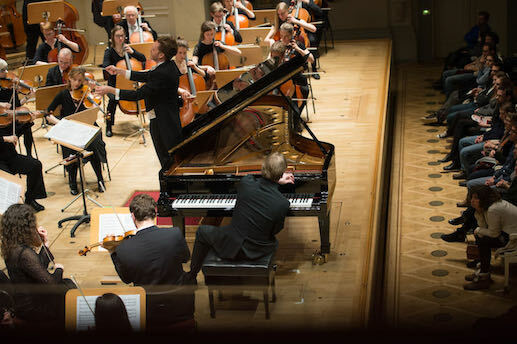 In June 2019, he will be performing the Piano concerto for the left hand by Ravel in the RBB Sendesaal in Berlin. Recording by Claves in 2006. Pieces by Bach-Brahms, Lipatti, Saint-Saëns, Schulhoff, Scriabin and Strauss-Godowsky. In 2007, Televisione Svizzera Italiana produced a large portrait of him with a recital and a program of chamber music. First Violin: Liviu Prunaru (Concertmaster at the Concertgebouw Amsterdam). Second Violin: Valentina Svyatlovskaya. Violoncello: Marie-Stephanie Janecek. KONZERTHAUS Berlin – Junges Orchester der Freien Universität Berlin. In 2018, Antoine Rebstein will be featured in the ARTE production about the repertory for the left hand.